the show is about coaching you how to operate at your maximum potential in your personal and professional life. She has spent the last 25 years of her career studying the nature of human behavior. It’s her goal to share how our propensities don’t always work in our best interests, and to provide the knowledge to leverage the gifts that already live inside each person. Her desire is to help you learn how to access the behaviors that will lead to positive change and a better quality of life. Human Behavior is natural -- unfortunately many of us don't learn to manage it well for our highest levels of happiness and effectiveness. As The Human Behavior Coach, Bev Flaxington searches to find experts who can provide tips and tools for managing behavior for positive outcomes. Show launches Thursday, November 14th, 2013 at 12 PM Mountain, 2 PM Eastern and 11 AM Pacific. Beverly D. Flaxington, two-time bestselling and Gold-award winning author, is an international speaker, an accomplished consultant, hypnotherapist, personal and career coach, bestselling author, college professor, corporate trainer, facilitator, behavioral expert, entrepreneur and business development expert. Beverly’s knowledge of human behavior and the most effective ways to make change happen have helped thousands of people and hundreds of organizations over the years. In addition to being a coach on changing human behavior she is recognized as a confidence coach and work relationship “doctor” by many. Bev has created a number of proprietary, successful approaches to changing human behavior and helping companies reach higher levels of excellence including the Sales Effectiveness Model, the S.H.I.F.T. Model (TM), and the Five Secrets to Successful Selling (TM). She is a frequent speaker and contributor to articles on the subjects of sales, marketing, behavioral issues, employee and career issues, effective time management and dealing with difficult people. Beverly is an adjunct professor at Suffolk University. She teaches “Leadership and Social Responsibility”, a required course where Make the SHIFT is a required text. Beverly is a Certified Hypnotist, Certified Hypnosis Trainer, Reiki Master Attunement Practitioner, Certified Professional Behavioral Analyst (CPBA) and Certified Professional Values Analyst (CPVA). She uses the DISC and PIAV tools frequently in her work with individuals and organizations. 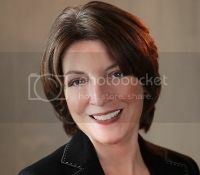 Bev co-founded The Collaborative in 1995, a sales and marketing consultancy. The firm provides strategic and tactical support to help client firms, and individuals, reach higher levels of effectiveness and meet their goals. The Collaborative specializes in delivering effective coaching, training and proprietary consulting services. In 2008, the firm launched a new online portal, AdvisorsTrustedAdvisor.com (ATA) to meet the specific needs of independent investment advisors and wealth managers. Bev’s books are translated into many languages and used in dozens of colleges and universities throughout the country. She most recently released Self-Talk for a Calmer You, published by Adams Media. She is the author of the bestselling and Gold-award winning Understanding Other People: The Five Secrets to Human Behavior. She authored a companion book, 30 Days to Understanding Other People: A Daily Guide to Improving Relationships. She authored the bestselling Make Your Shift: The Five Most Powerful Moves You Can Make to Get Where YOU Want to Go. The business companion is Make the Shift: The Proven Five-Step Plan to Success for Corporate Teams. She also authored The 7 Steps to Effective Business Building for Financial Advisors: How top earning advisors attract and retain the most profitable clients and the companion Workbook for this program. The 7 Steps program was selected by the Financial Planning Association and is available in their online store at a member discount. It was such a privilege to be Beverly's guest on the show. Lacking self-esteem causes far too many people to live diminished lives of silent desperation. When they realize how easily they can enhance every area of their lives simply by believing in themselves, a world of new opportunities and possibilities open up for manifesting love, abundance, rich relationships, fulfilling work and every other aspect of one's dream life. I invite everyone to join me in raising the consciousness of our planet by elevating their self-esteem and championing others to do the same! Thank you Beverly and Steve for inviting me to be part of this uplifting show! You are doing such great work in the world and I'm so happy to have been part of it! Great fun to be on the show! Thanks from the bottom of my heart!! What a great experience to be on your show - I thoroughly enjoyed my conversation with you Bev and I appreciate you being an excellent host! I love teaching and inspiring change in ways that people can easily adapt into their lives. I am available and happy to answer any questions that your viewers may have from the conversation we had. Steve - you are providing a fabulous platform and service here - many thanks to you too. Hi Bev: I was speaking with my husband, Bill, this morning and mentioned how good you are at interviewing someone. Even though the topic was of great interest to you and you had a lot to bring to the discussion, you focused on your guest; you kept the discussion lively and focused; you had the most amazing questions which showed that you had a deep understanding of the processes and if you didn't, that you did your homework before the interview. Great job - great interviewing skills. Thanks for the privilege of dialoguing with you. HAd a great time being on the show. What a great way to spread the message of help. She did a great interview and I hope to be back soon! Just have to say, Bev, that I so enjoyed our conversation together! You are such a thoughtful and profound listener and come up with questions that stimulate and take the conversation to a whole new level. Wishing you continued success with the show. You provide an invaluable service to those who wish to be Free!